Evans, J., Renner, T. and Tribble, P. 2019. 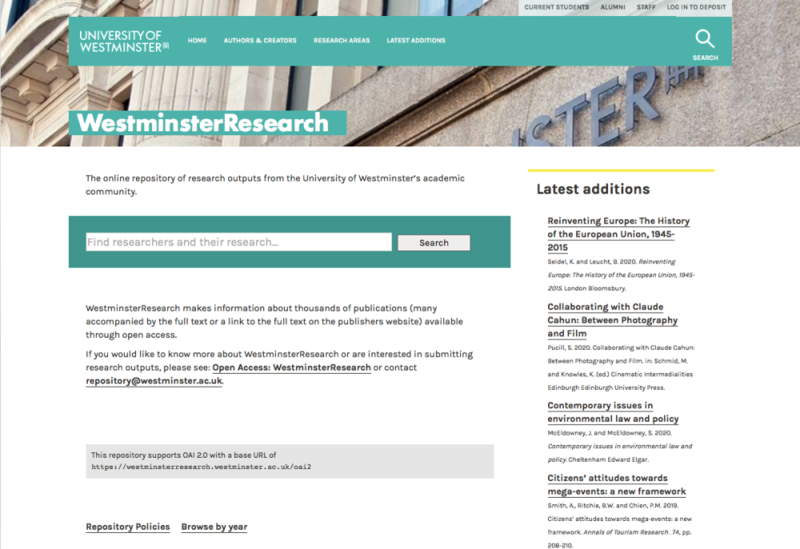 Transforming the University of Westminster Repository. Evans, J., Renner, T. and Tribble, P.
This portfolio brings together relevant work relating to the development of the University's new repository, the result of close collaboration between Westminster and Haplo. Key features of the repository include a single solution for text-based and non-text based outputs, dynamic portfolios and managed levels of access to files. Implementing a next-gen repository mid-REF cycle…madness or a stroke of genius?